Riders from Century Cyclists for Christ and Cupcake Bikers 143, still fresh after finishing the 20-KM race. 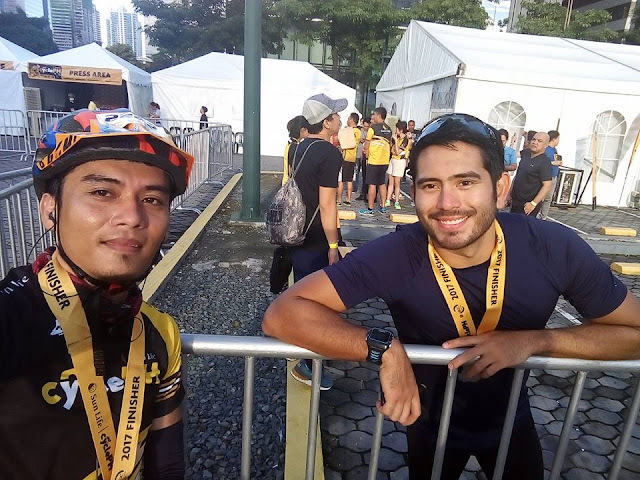 More than a thousand cyclists, newbies and experienced alike, participated in the Sun Life Cycle PH held last November 18, 2017 at the Bonifacio Global City in Taguig. 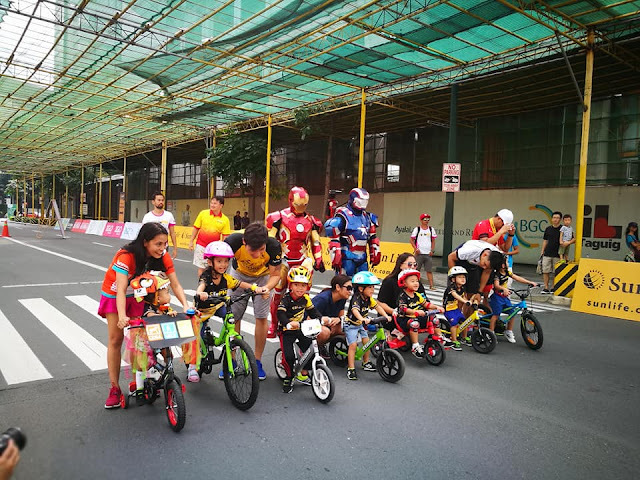 It had a total of seven categories: Tricycle Ride (100 meters for 2-3 year olds), Kids’ Ride (500 meters for 4-5 year olds), Family Ride (30 minutes for 6-15 year olds with adult companion), Solo Ride (30 minutes for 6-15 years old), Short Distance Ride (20km for 10 years old and above), and Long Distance Ride (40km for 10 years old and above). 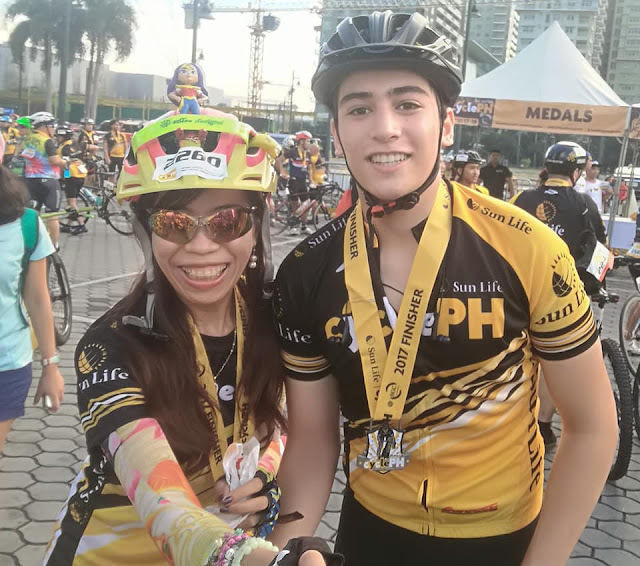 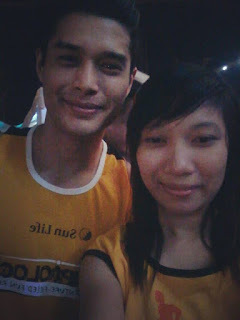 A charity category called Bid2Bike allowed the fans of Piolo Pascual, Gretchen Ho, Kisses Delavin, Matteo Guidicelli, Inigo Pascual, Gerald Anderson, and other Star Magic celebrities, bid for a chance to bike alongside their idols, an exclusive photo souvenir, and had their jersey signed. 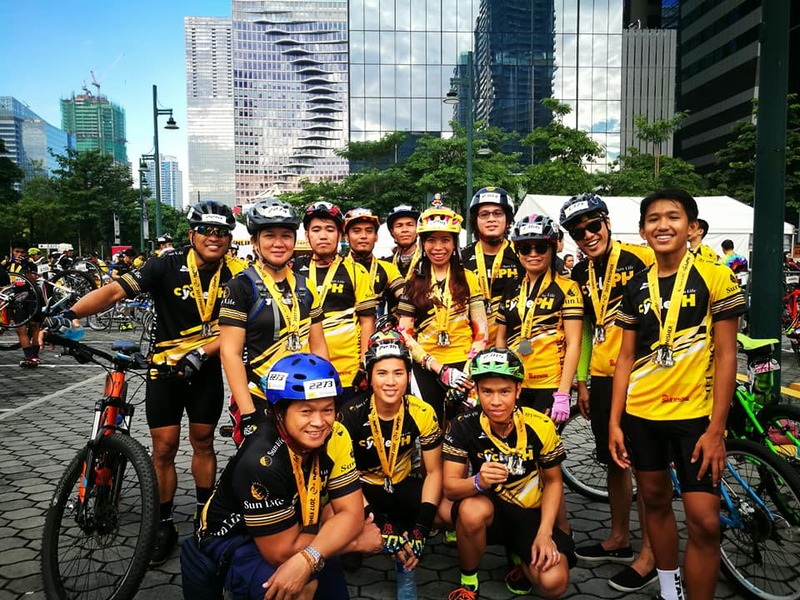 For cycling enthusiasts, they were able to bid to ride with legend Robbie McEwen. 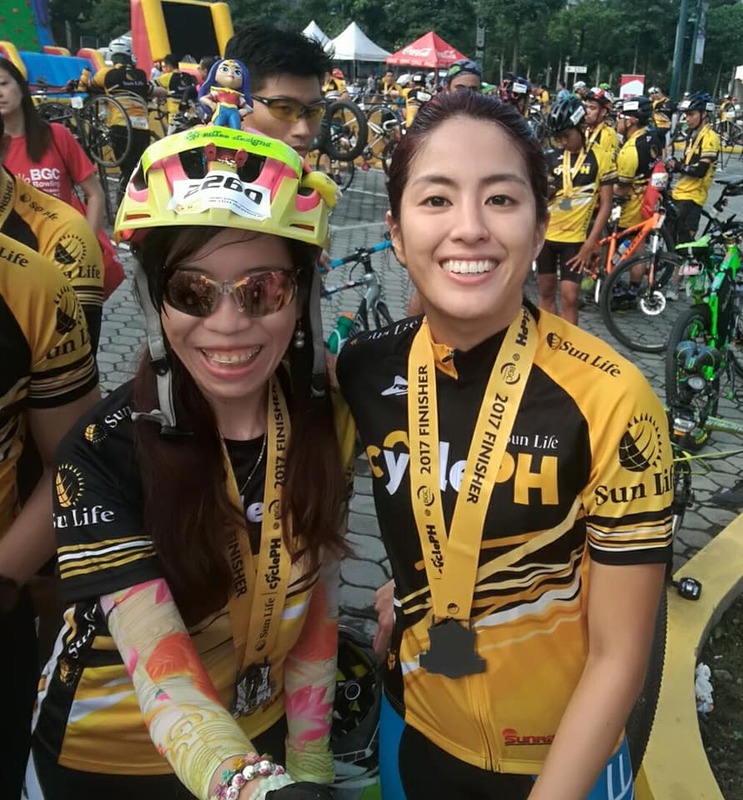 Sun Life mounted the event in partnership with Sunrise Events, Inc., which is known for its flagship projects that focus on race organization and sports tourism. 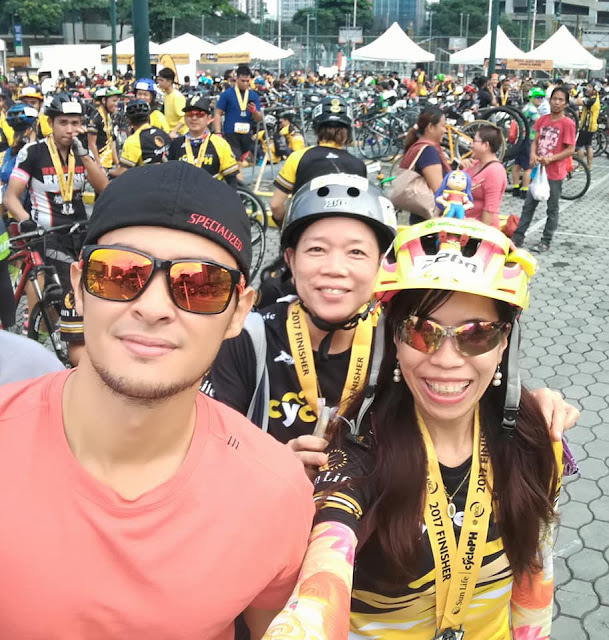 The contract signing between the two companies was held recently in Shangri-La Mactan in Cebu, with Sun Life CEO and Country Head Riza Mantaring, Sun Life brand ambassador Piolo Pascual, Sunrise Founder Wilfred Uytengsu, and Sunrise General Manager Princess Galura in attendance. The participants with one of the organizers, Ms. Joanne Gotladera (2nd to the left). 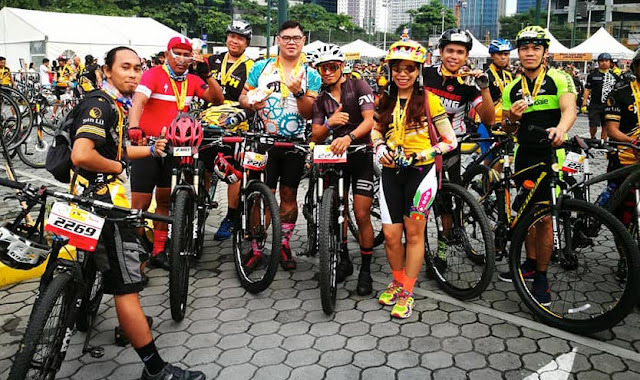 The participants with one of the organizers, Mr. Irone JC De Leon (leftmost). 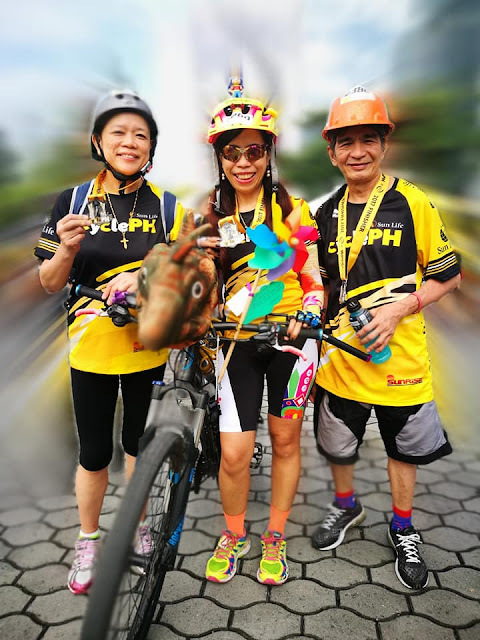 The ride kit inclusions per race category includes goodies from sponsors Alcoplus, Alaska, Cetaphil, Sanicare, 2GO and a flashlight and bike lock from Sun Life Financial Inc! Riders also received the Sun Life Cycle PH bike shirt for kids and for 20KM participants! Those who took part in the challenging 40KM ride were rewarded with the bike jersey! 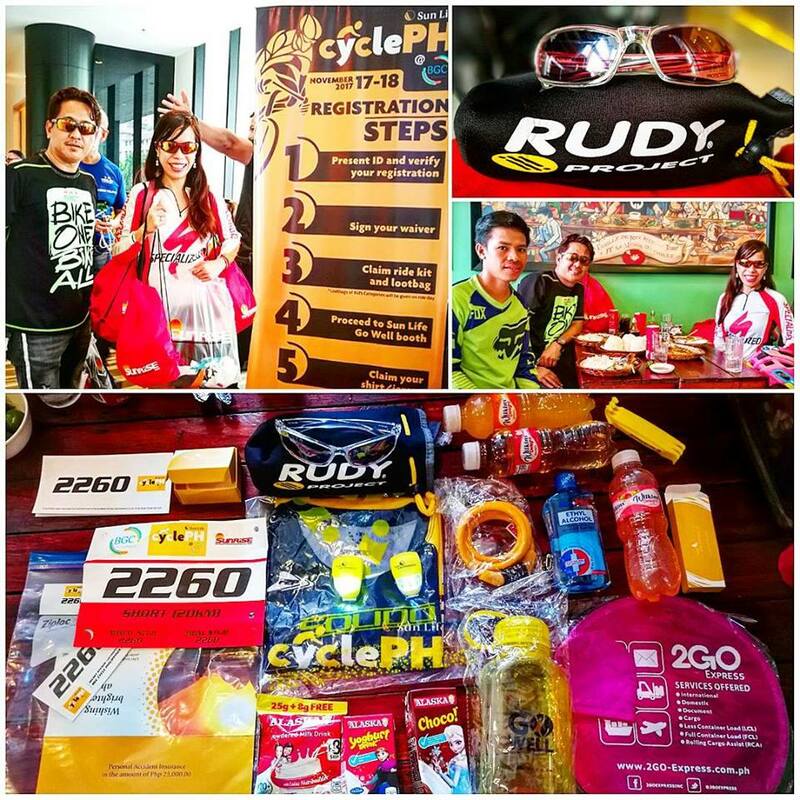 There are also side events and games that the participants enjoyed after the long ride. And the riders were able to pose with different mascots like IronMan. 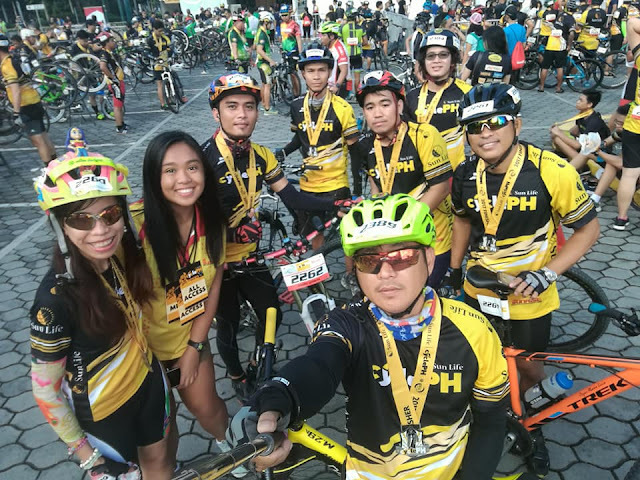 Of course everyone´s a winner in Sun Life Cycle PH – all finishers received their medal upon finishing and a much deserved post-race meal to recover from the ride out! 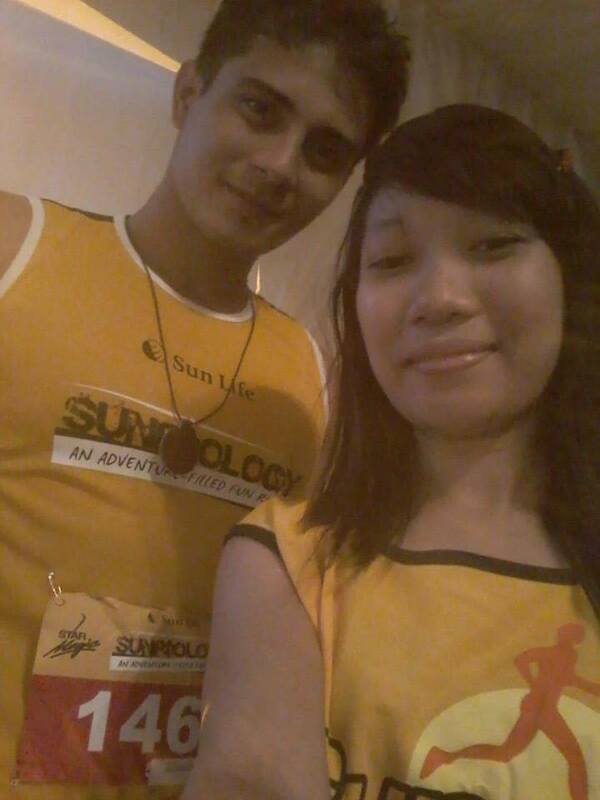 Meanwhile, the Sun Life Resolution Run will happen on January 20, 2018. 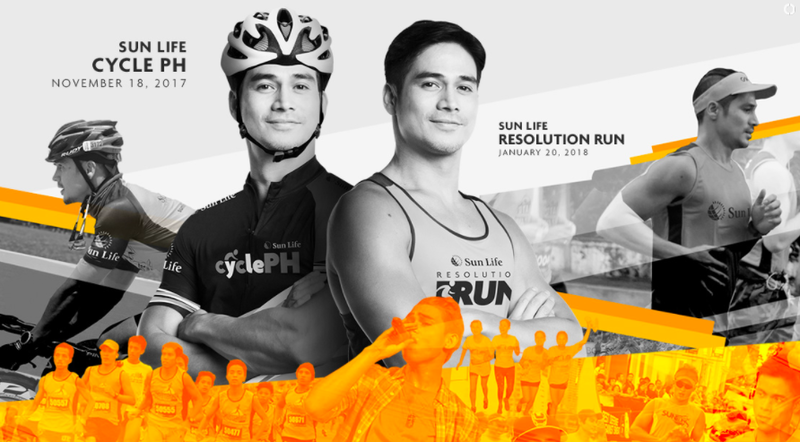 As with the previous years, Sun Life will once again mount the event with Run Rio and will offer 3k, 5k, and 10k categories. 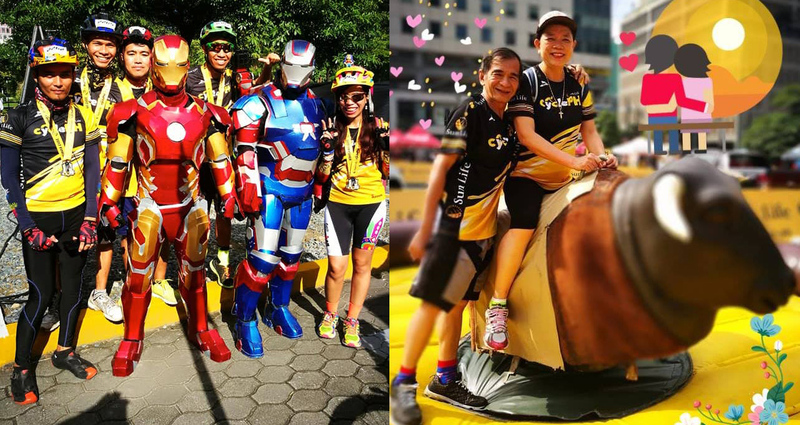 It features an obstacle course that illustrates the steps to prevent diabetes, like watching what you eat and why exercise is important. 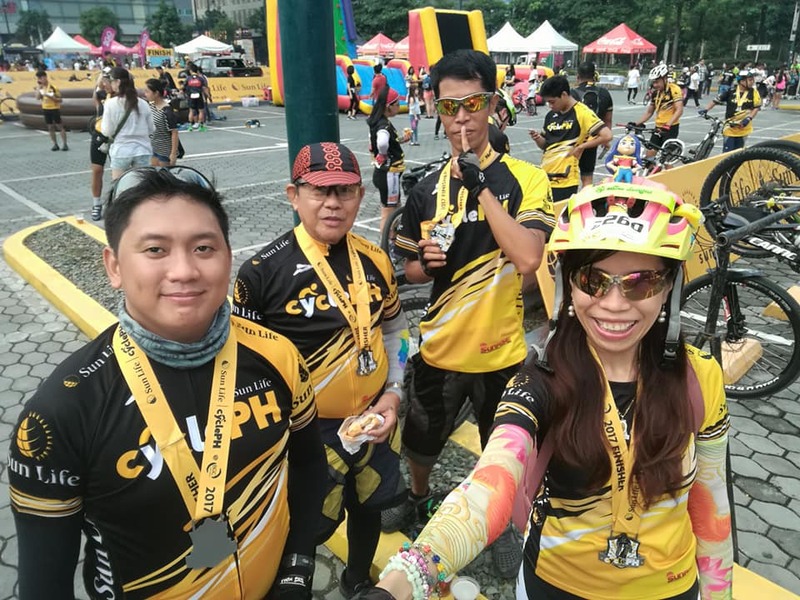 More details will be revealed in the coming months, which includes an expanded payment facility like PayPal and DragonPay. For more information, visit www.sunpiology.com.